Steve Bamford has published his final selections for The Barclays - click here to read his full commentary. The striking backdrop of Manhattan Island will be the vista as the Top 125 players in the FedEx Cup standings kick off the PGA Tour PlayOffs on 22nd August 2013. There's no doubt that the PlayOffs are now an integral part of the golfing calendar and it's easy to see why. With 24 of the Official World Golf Ranking Top 25 (Louis Oosthuizen is struggling to qualify as we publish) starting their quest of making the Tour Championship at The Barclays, an overall tournament prize fund of $36 million across the 4 Play Off tournaments and a cool $10 million bonus going to the FedEx Cup Champion, the cream of world golf are playing for high stakes across the Play Off series which also includes the Deutsche Bank Championship at TPC Boston, the BMW Championship at Conway Farms Golf Club and the Tour Championship by Coca Cola at East Lake. This tournament started life as the Westchester Classic and has always been New York's PGA Tour stop-off. Starting in 2007 the tournament took up its current name and has been the opening leg of the Play Offs ever since. 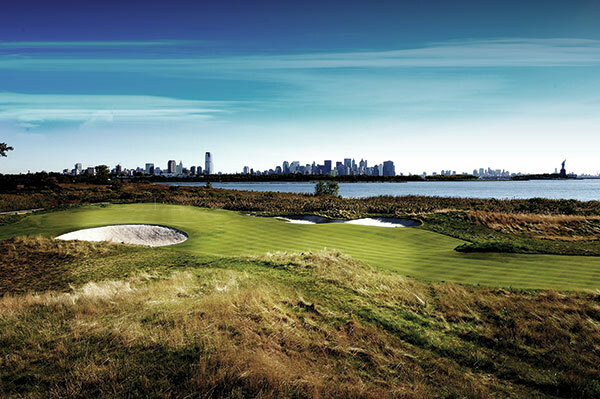 The tournament moves across a small rota of New York and New Jersey courses, with 2013 marking the second time that the tournament has visited the links-style course at Liberty National. Don't miss our final The Barclays betting tips which we'll publish on the Tuesday prior to the start of this season's tournament. Liberty National Golf Club, Jersey City, New Jersey. Designer: Bob Cupp & Tom Kite 2006; Course Type: Links, Technical; Par: 71; Length: 7,400 yards as per the scorecard; Water Hazards: 10; Fairways: Bentgrass; Rough: Kentucky Bluegrass 1.25 - 4"; Greens: 6,300 sq.ft average featuring A4 Bentgrass; Stimpmeter: 12.6ft; Scoring Average 2009: 71.33. The result at Liberty National back in August 2009 reads like a who's who of links golf. Ernie Els, Tiger Woods and Padraig Harrington all finished in the Top 5. Steve Stricker, who loves playing in the New York area, also got into the mix but eventually they all had to give way to the little known Heath Slocum who grabbed the biggest win of his career at a whopping 250/1. That's the beauty of the PGA Tour PlayOffs where lesser-known players can make their dreams come true. That win earned Slocum a 2 year Tour exemption, $1.35 million and propelled him into a coveted Tour Championship appearance. It also guaranteed appearances at Augusta and the 3 other Major Championships in 2010. Big price winners have cropped up each and every year with The Barclays delivering 250/1, 40/1, 35/1 and 70/1 winners all told since 2009. With Woods and Mickelson set to go off at single figure prices or thereabouts it may well be worth looking down the field for a little value at Liberty National.